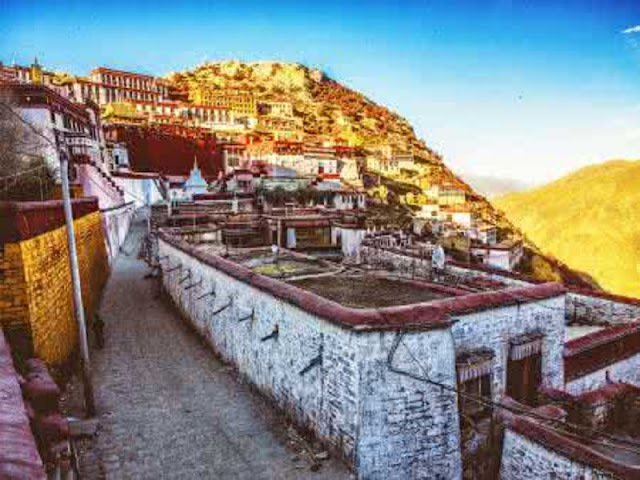 As the first temple of Gelug sects in Tibetan Buddhism, Ganden Monastery was established by Tsongkhapa who is one of the greatest masters in Buddhism. 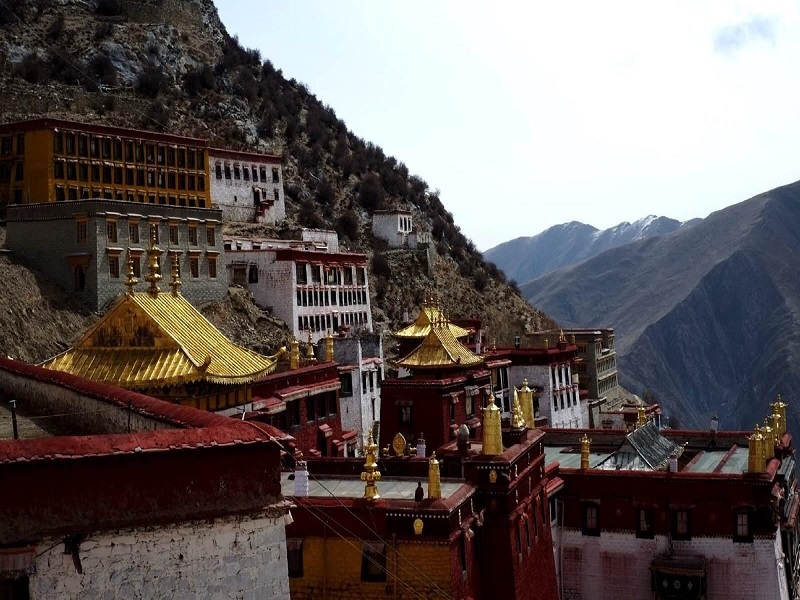 With a history of over 600 years, the ancient monastery has played an important role in the historical process of Tibet. “Ganden” means Tusita Heaven in Tibetan which is a pure land illuminated by the light of Maitreya. By the meaning of eternal glory, another name “ Yongshou ”granted by Emperor Yongzheng of the Qing Dynasty is the proof of its influence power. Located on a mountain called Wangbori on the south bank of Lhasa River, Ganden Monastery is a vast architectural complex at an altitude of 3800 meters. It’s made up of more than 50 structures such as Yangbagyain Hall, Lagyi Hall, Chitokang and Angyiukang. Ganden Monastery was built in the early fifteenth Century. At that time, Tsongkhapa was trying to make reform in Tibetan Buddhism. In early 1409, a grand ceremony was held in the Jokhang Temple by this founder of the Yellow Sect to the memory of Sakyamuni. 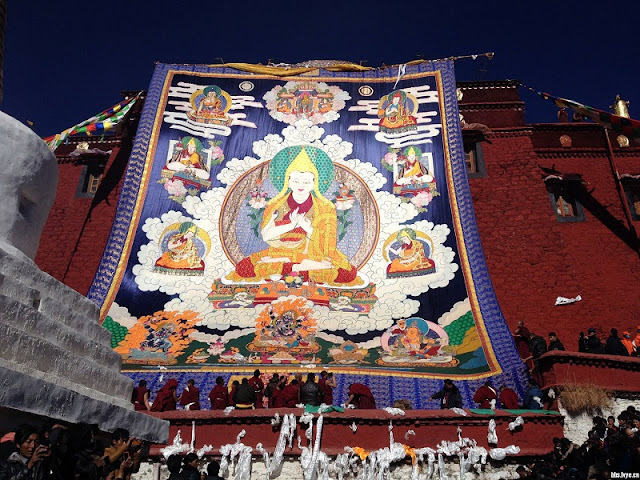 Since then, Gelug sects has rapidly developed, and this provided conditions to the foundation of Ganden Monastery. In Feb. 1410, the highly anticipated temple was finally completed. Also, Tsongkhapa was elected as Buddhist Abbot at the same time. Ganden Monastery, together with the Drepung Monastery and Sera Monastery are recognized as the top 3 monasteries in Lhasa Tibet. 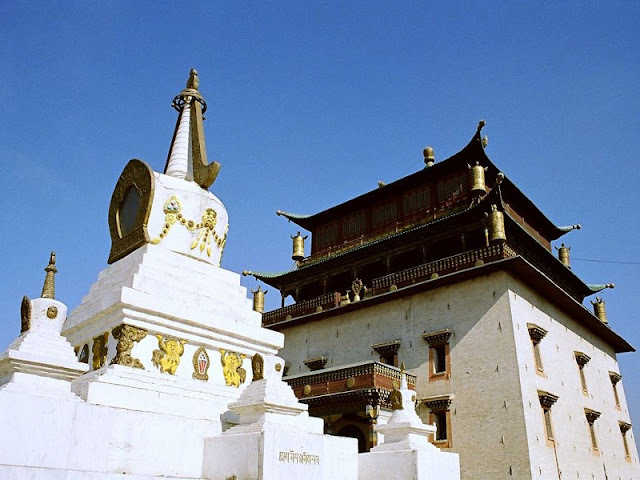 With the fact that Tsongkhapa built Ganden Monastery personally, act as the first Buddhist abbot and parinirvana in this temple, Ganden Monastery occupying the highest position among all the Gelug sect monasteries. 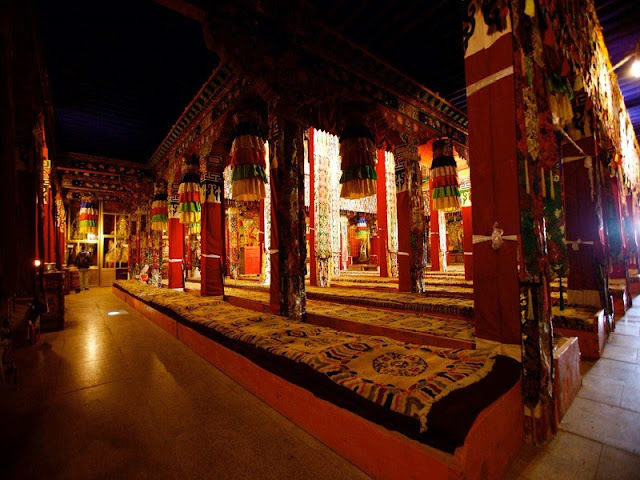 The Lagyi Hall is the largest hall of prayer in Ganden Monastery. with an area of up to 2 thousand square meters, the three-floor hall is capable of holding 3.3 thousand of monks to pray. Located to the west of the Lagyi Hall, the Yangbagyain Hall is the holiest place where the remains of Tsongkhapa and other abbots in Ganden Monastery had been placed. The Chitokang Hall once was the bedroom for Tsongkhapa and it’s one the oldest buildings in Ganden Monastery. After the death of this great spiritual leader, the hall became the Sanctum for his followers. To the west of Chitokang Hall are the Jamze and Xaze Zhacan which are halls for Buddhism study and both are affairs center of Ganden Monastery. 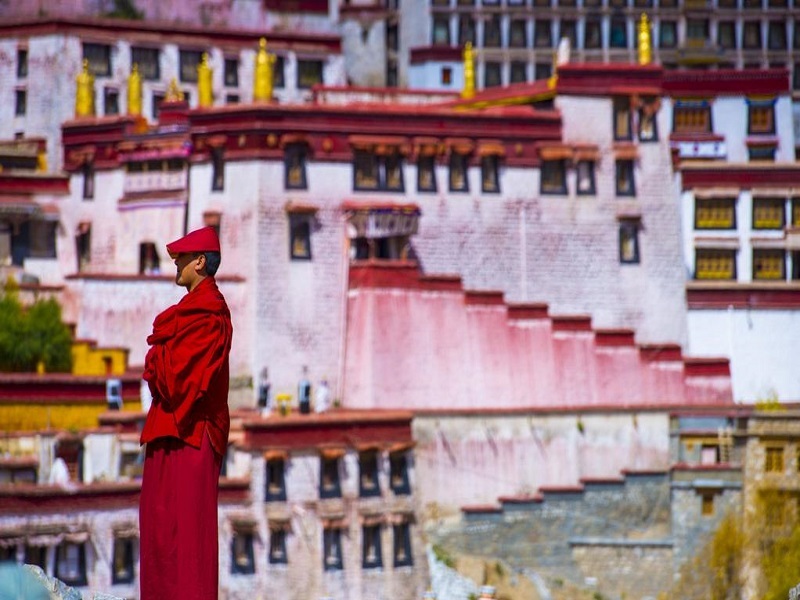 Up to 6 thousand monks lived in Ganden Monastery before the middle of the twentieth century. The Jamze Prince of Dharma and Xaze Prince of Dharma acted as the abbot of Ganden Monastery In turns. Since the period of Tsongkhapa, 97 generations of Ganden Khripas have taken charge of the monastery. 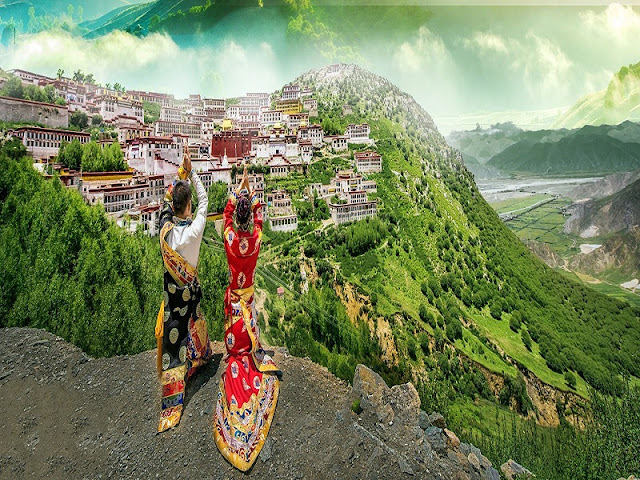 Ganden Monastery was announced by the Chinese State Department as one of important nation-level preservation units of cultural relics in 1962. It was nearly destroyed in the Great Cultural Revolution, but due to the restoration project over the past several decades, the ancient temple is taking on a new life from pain. Today Ganden Monastery remains a sacred place for Buddhist and a tourist attraction not to be missed on a Lhasa tour package.